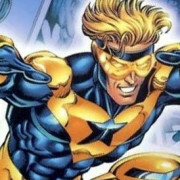 Booster Gold or other DC Comics properties may soon be seen on TV. 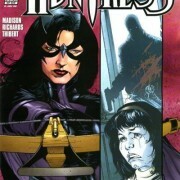 The CW reveals details of the Huntress’s appearances on Arrow. The title for the 12th episode of Smallville Season 10 has been revealed along with information about when Geoff Johns’ next story will be running. The Blue Beetle “Test Footage” Is Now Online! Yesterday at the Comic-Con International in San Diego, Geoff Johns showed off the test effects footage for a TV series based on the DC Comics character, the Blue Beetle. Stills Of A Live-Action Blue Beetle! Stills from the Blue Beetle live action effects test are now online. Could this be the next DC TV superhero? 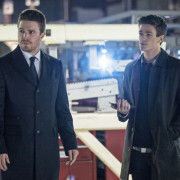 Smallville: The Justice Society Returns?